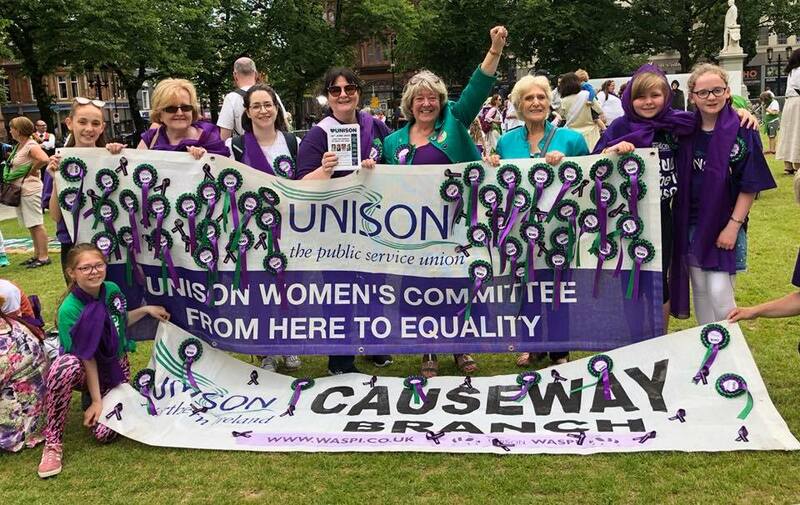 More than two thirds of UNISON members are women. 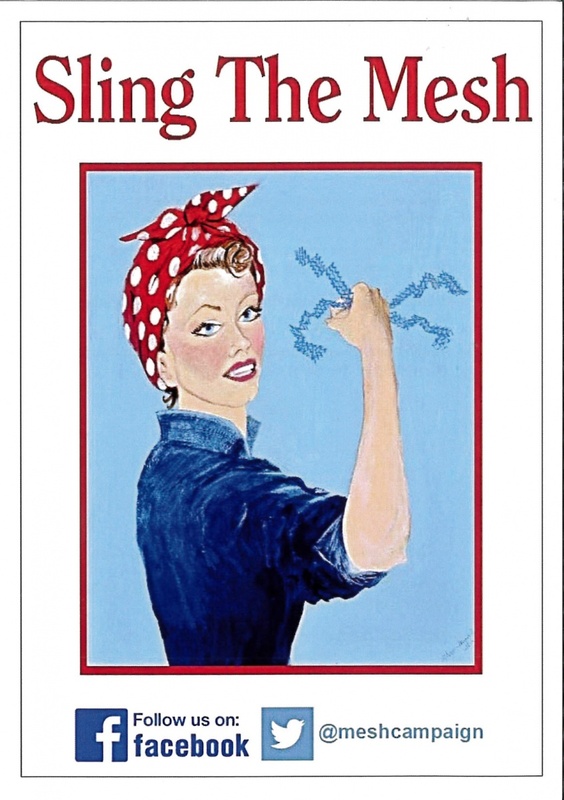 UNISON’s women’s member group (known as a self-organised group) campaigns for equality in the workplace and for improvements to women’s rights in the workplace and in the wider community. It also supports campaigns aimed at improving women’s lives – for example, to change the law to protect women experiencing domestic violence, or to raise awareness of health issues which mainly affect women. As a member of UNISON, you have the support and guidance of thousands of other women members, who face the same workplace challenges as you. If you encounter issues such as the gender pay gap or denial of your maternity rights, UNISON can help you with practical information, support and legal advice. Our women members’ role is much wider than campaigning for equality and against harassment. Becoming a member means that you encourage and organise activity in every aspect of the workplace. As the majority of members, and the majority of the workforce in the public sector, women form the largest voice in UNISON and lead the organisation in nearly every activity. UNISON women's committee members Deborah Yapicioz and Amanda Sweetlove speak about their experiences with menopause in the first of a series of reports by the BBC. 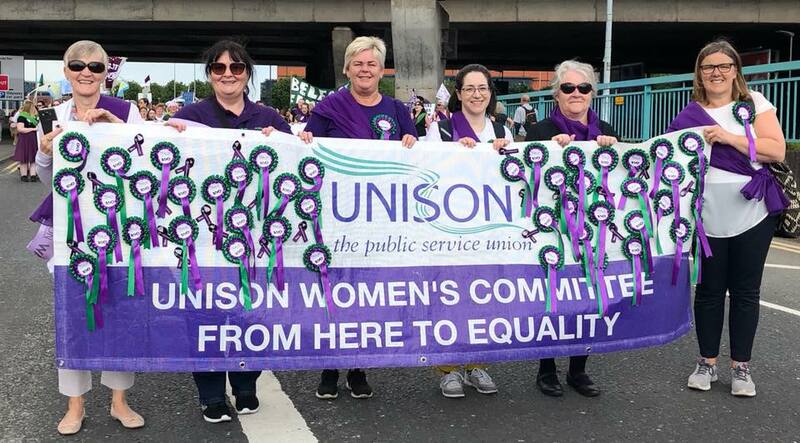 The UNISON Woman’s Committee proudly joined thousands of other women in Belfast, Cardiff, Edinburgh and London on 11th June 2018 to create a visual expression of equality, strength and culture to mark the 100 year anniversary of the day that some women won the right to vote. It was a day of celebrating what it is to be a woman today and remembering past victories in the fight for women’s rights while acknowledging that there are still battles to be won on the path to true equality. We are ready for the next challenge- bring it on!! 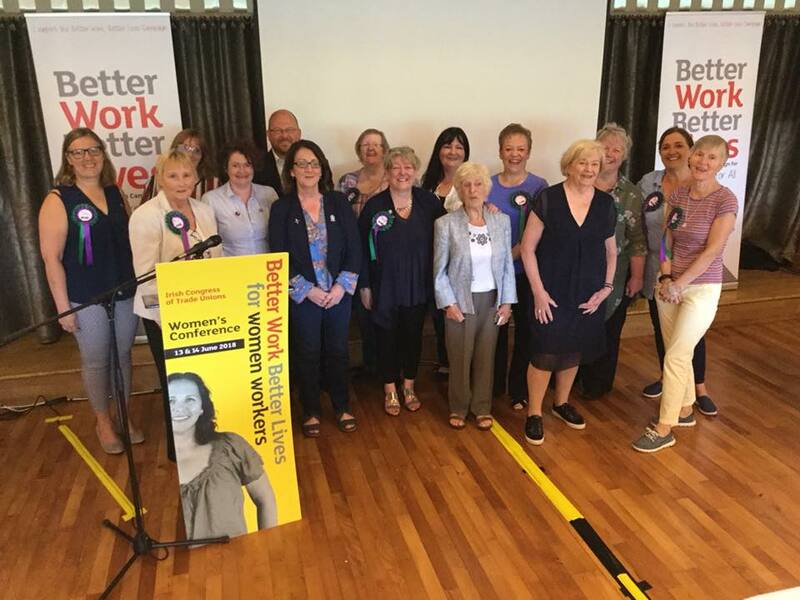 Members of the UNISON women’s committee and regional office staff travelled from all over Northern Ireland to take part in the Irish Congress of Trade Unions Women’s Conference in Enniskillen on 13th and 14th June 2018. It was an extremely motivating couple of days with a fantastic group of women activists who made their presence felt at the conference speaking on the majority of motions with great passion, insight and enthusiasm This included several first time speakers who spoke extremely well on issues close to their heart. Jill Weir UNISON did a fantastic job welcoming delegates to her home town of Enniskillen in the opening address to delegates. The UNISON delegation spoke on a wide range of subjects including Women’s Gynaecological Health and Reproductive Rights in the work place, Menopause, Breastfeeding in the workplace, Automation, Sexual Harassment, Domestic violence, women in leadership, Pension inequality, Ending violence against women and investing in childcare. Patricia McKeown spoke passionately on the current situation in Gaza highlighting the recent death of Razan Ashraf Al-Najjar a young nurse killed while doing her job attending to the injured. The UNISON motion “Combating Precarious Work and Discrimination in the workplace” was very well received and passed by Conference delegates. There was great celebrating at the conference on the recent successful referendum to repeal the 8th amendment in the South of Ireland but it was also recognised that there was still much work to be done across the Island of Ireland on women’s reproductive rights with much discussion on where do we go from here? 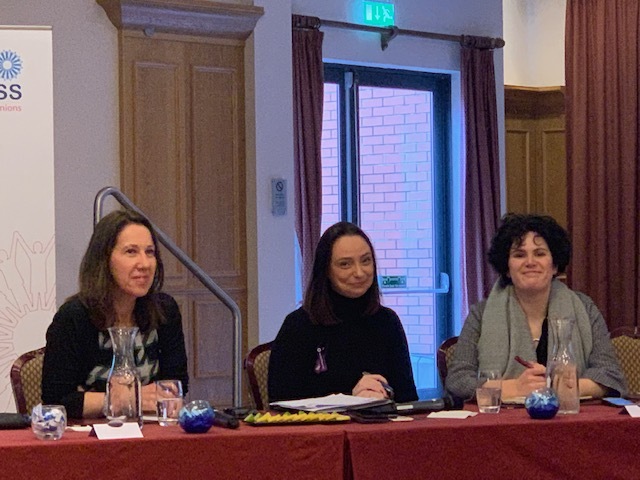 The conference was a great opportunity to discuss issues important to women across the Island of Ireland and definitely an important event for women activists. The UNISON Women's Committee are supporting the Homeless Period Campaign. The Homeless Period Belfast is a volunteer led campaign, providing homeless and vulnerable women across Belfast with sanitary and other hygiene items. With a mixture of donations and funds, we make care-packs full of sanitary products which are then delivered to various shelters, food banks and rough sleepers across the city. The UNISON Women's Committee attended the launch of the Abortion As A Workplace Issue report on Tuesday 25th September 2018 in Stormont. The event was hosted by Clare Bailey from the Green Party. The report compiles information from a survey commissioned by trade unions across the North & South of Ireland. You can read the full report on our website here. 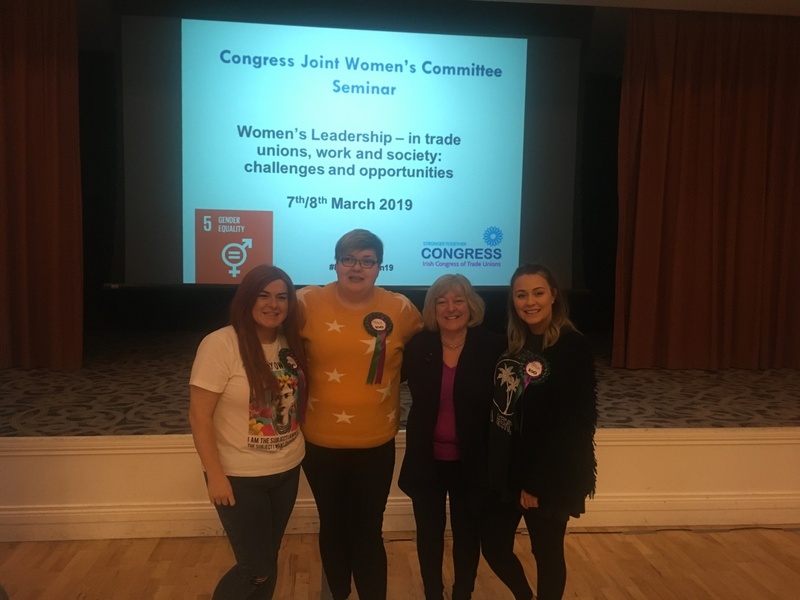 The Irish Congress of Trade Unions Women’s Committee Seminar took place in Slieve Donard hotel in Co Down on 7 and 8 March 2019.150 people gathered to discuss women’s leadership in trade unions, work and society. 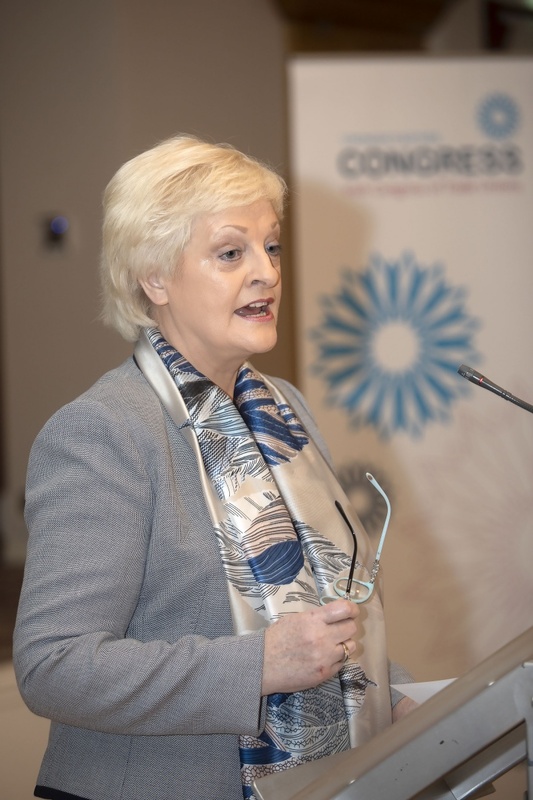 Speakers included Congress General Secretary, Patricia King who told delegates that gender equality is no longer simply the right thing to do, but is an economic imperative. 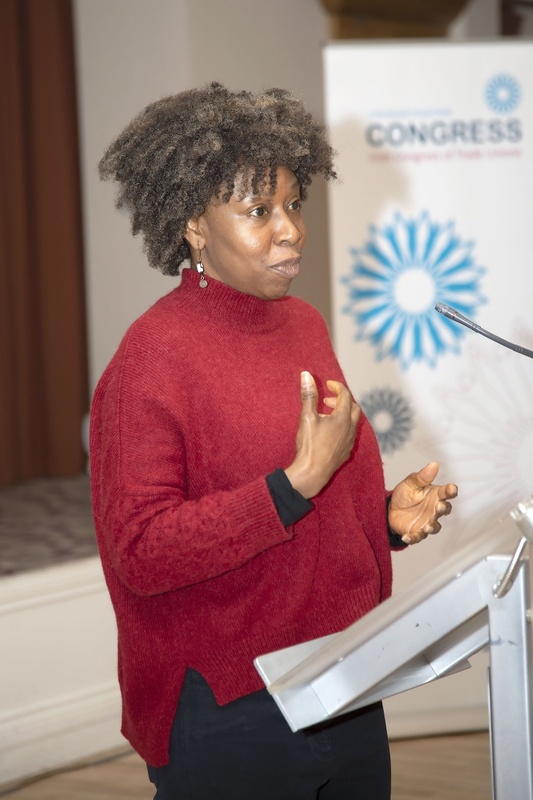 Director of Equality at the International Trade Union Confederation, Chidi King, updated delegates on the work at the International Labour Organisation towards a new international convention on violence and harassment in the world of work. We also seek support and advice from other organisations to help members facing difficulties. 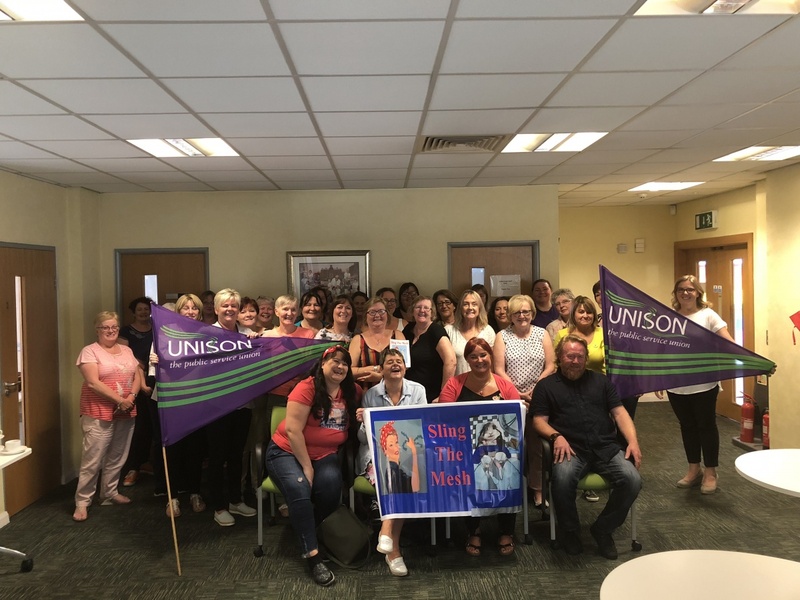 Recently the Rowan Sexual Assault Referral Centre gave a presentation to the UNISON Women's Committee about the support and services they offer. You can download the information below.